Here's a lazy end-of-the-month post where I share with you the sort of things I cook regularly: noodles, soups and stews. For an indolent cook, these are easy, fuss-free dishes that don't take up much time or effort at all. I whip up meals like these ones in all sorts of variations all the time without jotting down any measurements, but I'll give you a quick tour anyway, and perhaps you'll be inspired to make something similar! I love a good ramen. If my memory serves me correctly (ha! Iron Chef reference! ), this is a vegetarian miso ramen I made with organic ramen noodles, bits and pieces of vegetables from the fridge, and free-range eggs. Gotta love the umami taste, and those wobbly, creamy orange yolks. This is a quick stew I made some months ago, using leftovers from a roast pork dinner. I added some tomato and onion to the roast pork and root vegetables, along with some water, cooked it for a bit until the flavours married, then threw in some coriander leaves. 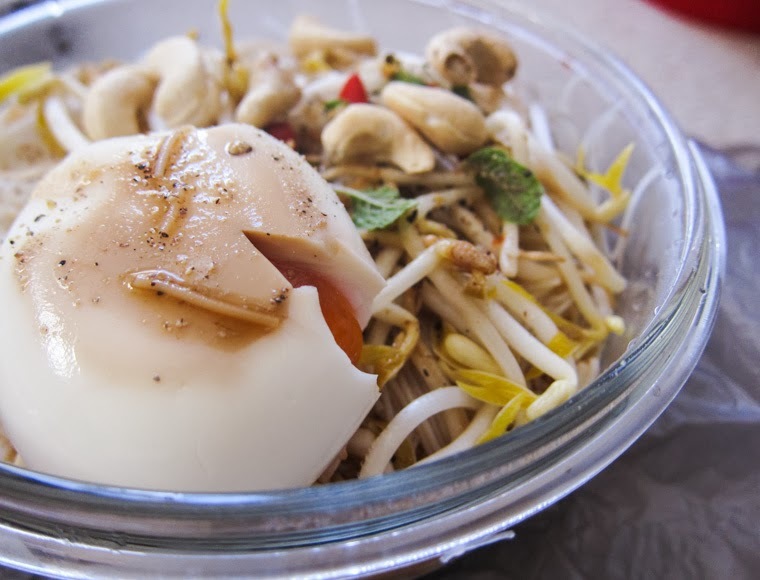 A wondrous work lunchbox creation: blanched rice vermicelli noodles, fresh beansprouts, raw cashews, and a boiled egg. I sloshed in some lemon juice and soy sauce, then sprinkled on mint leaves, sliced red chilli, white pepper and salt. When I wanted to eat, I poured in some freshly boiled water from the kitchen kettle, let it sit in the container with the lid on for a few minutes, and voila! A gentle, soothing, vegetarian Asian vermicelli soup to enjoy at my desk. I really should do this more often, I was a very happy girl that day. Last but not necessarily least, I bought some organic Koshihikari rice recently, a Japanese short-grain variety. 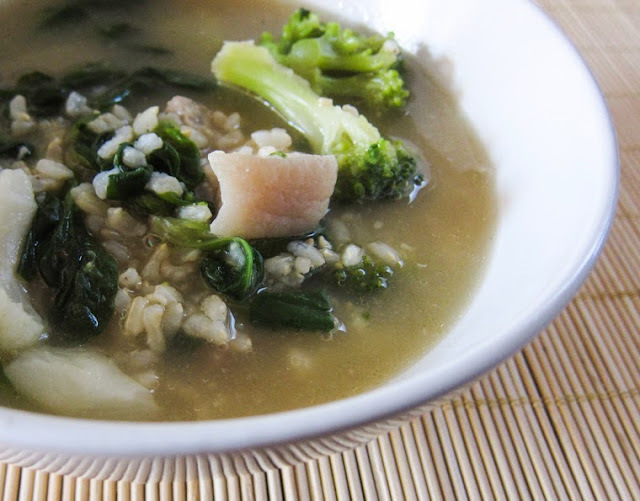 I paired it with pork, cauliflower, broccoli, lamb's lettuce, fatty pork, and miso to make sort of a rice stew, or soup. What are the types of dishes that make up part of your everyday life? They all look very good! And more nutritious than my go-to of sausages cooked with frozen mixed veg and soya sauce. Sausages and vegetables don't sound half bad either! 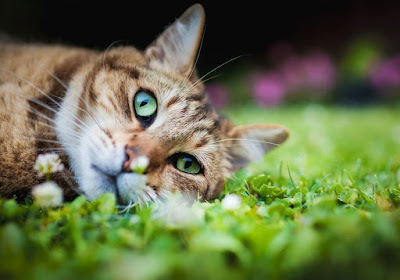 There's nothing too indolent here! These all look great, nutritious and satisfying. A fair amount of effort went into putting this post together. Well done! vegies always feature in my meals - i can't go without eating something green for lunch or dinner. i guess that is a healthy habit to have! your noodles with the soft-boiled egg looks just yummy though - a good contrast of rich egg and fresh beansprouts. Look at those YOLKS! Did you poach your eggs or hard boil them? 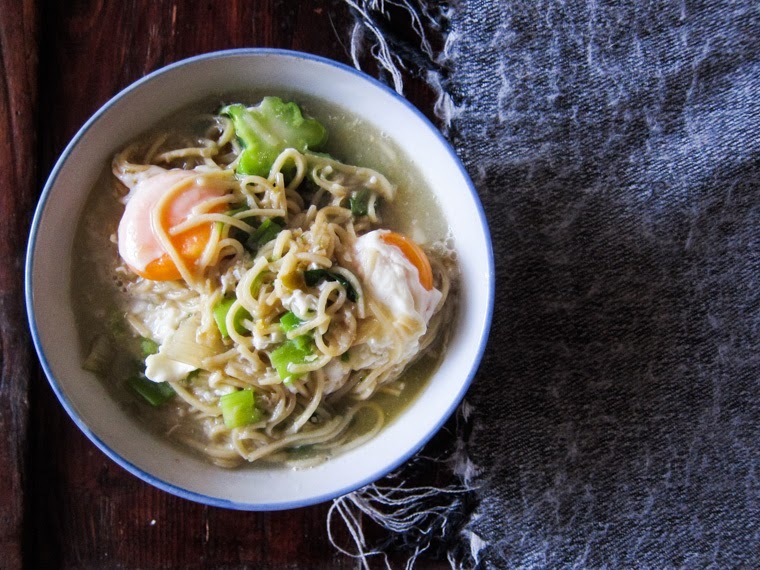 We've been doing a lot of soups lately too--last night was a spicy broth with lots of vegetables, noodles, and a last minute egg stirred in to cut the heat a little. I love easy dinners like that. 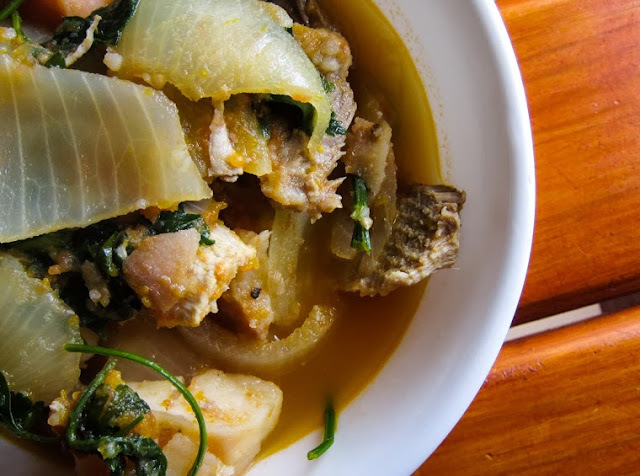 Sometimes the best soups comes from whatever we have in our fridge. Looks like a very hearty soup. These all look delicious. It's definitely the time of year for soups and stews! They are so warming and comforting and usually pretty simple to throw together. Yes, the ease and simplicity is what makes soups and stew so attractive to me!